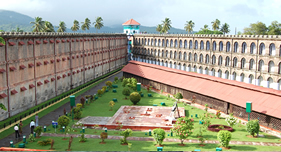 The CELLULAR jail, a National Memorial, is located at Port Blair which stood as a mute witness to the most brutal and barbaric atrocities meted out to national freedom fighters, who were incarcerated in this jail. 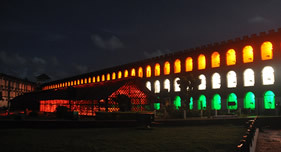 The Sound and Light show in the Cellular Jail narrates the saga of the Indian freedom struggle, brought alive through sound and light effect of the brutal and barbaric atrocities piled on the freedom fighters deported to these islands and incarcerated in the small cells of this jail. This show is very popular among the tourists visiting these islands. Timing: Two Hindi shows on all days at 6:00 pm and at 7:15 pm except on Monday, Wednesday & Friday when second show is in English at 7:15 pm. 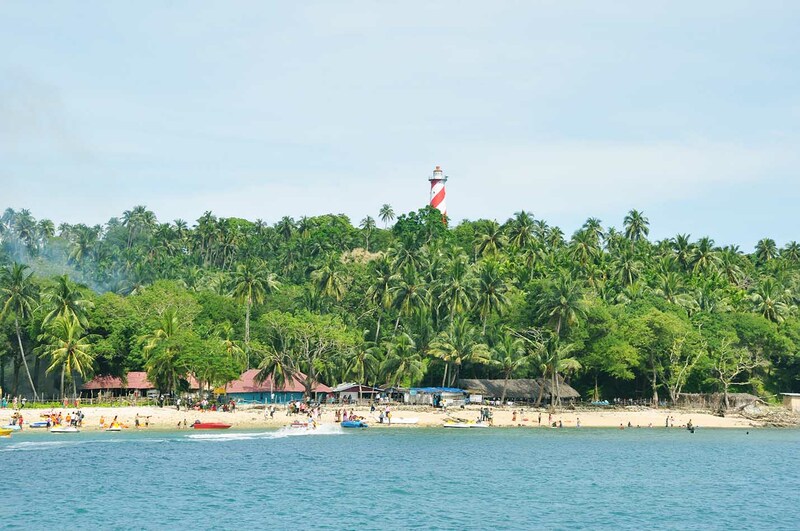 This small island, less than a square kilometer stands right across Port Blair. This island served as the capital to the Britishers from 1858 to 1941 when the Japanese occupied it and converted it to a ‘POW site'. This island homes the ruins of the church, Chief Commissioner's house, the Cathedral and graveyard of the Britishers and few other important landmarks which today is hugged by wild wines and huge roots and trunks of century old trees. To reach Netaji Subhas Chandra Bose Island, private ferries are available from Aberdeen Jetty except on Wednesday. 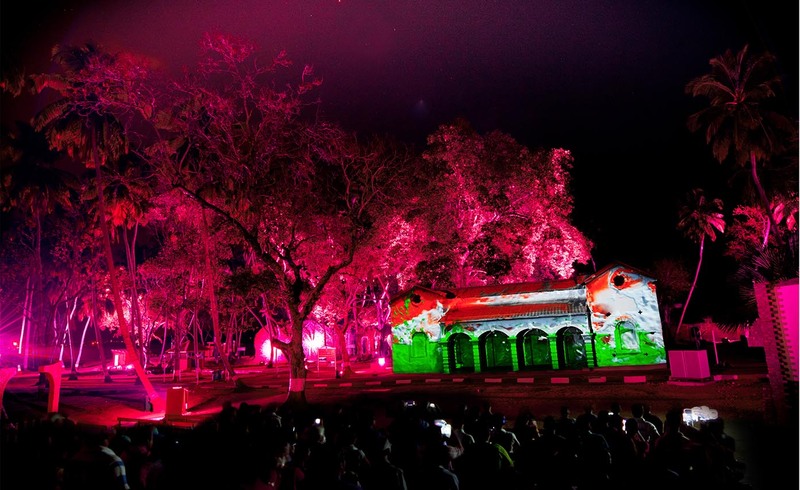 Sound & Light show narrating the history can be seen on all days except Wednesday at 5.30 pm. Tickets are available on first come first serve basis from the reception counter of Directorate of Tourism from 8.30 am to 3.00 pm on the same day. Rates of tickets are Rs. 100/- (adult), Rs. 25/- (Children between 5 - 12 Years) (Boat Tickets and Entry Tickets to Netaji Subhas Chandra Bose Island are not included) For further details contact: 232694/244091. 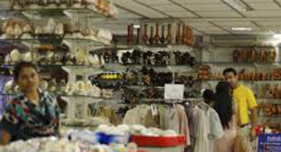 The Anthropological museum in Port Blair started in the year 1975-76, is an ethnographic museum. 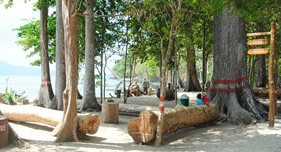 It showcases the four Negrito Tribes of the Andaman viz. 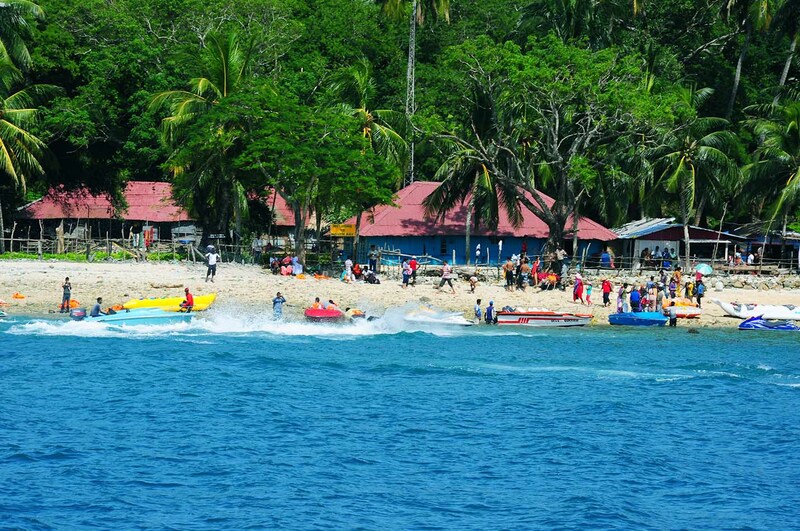 the Jarawas, Sentinelese, Great Andamanese and the Onges and two Mongoloid Tribes of the Nicobar viz. the Nicobarese and the Shompens. This museum is closed on Mondays and Govt. Holidays. Timings: 09:00 AM to 01.00 PM and 01.30 PM to 04.30 PM. 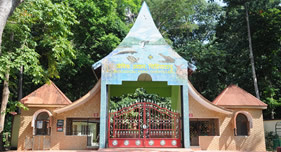 This museum is situated adjacent to the Rajiv Gandhi Water Sport Complex, Port Blair, which exhibits species of marine life endemic to the islands and found in the Indo-Pacific and the Bay of Bengal. It is closed on Mondays/Public Holidays/Second Saturdays. Timings: 09:00 AM to 01.00 PM and 02.00 PM to 04.45 PM. Timings: 09:00 AM to 12.00 Noon and 02.00 PM to 05.00 PM. Timings: 08:30 AM to 05.00 PM. 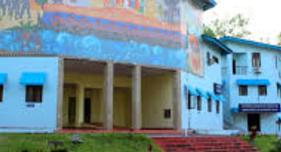 Kalapani Museum is unique amongst all museums in Port Blair and is the only private history museum in the country, setup in a three storied building, where history is brought alive through miniature and life size models and dioramas. The museum has a vast collection of rare archival photographs, paintings and artifacts of tribes, history, rare original documents of Colonial and Japanese periods, including many documentaries and films related to the Island and the Indian Freedom Struggle. 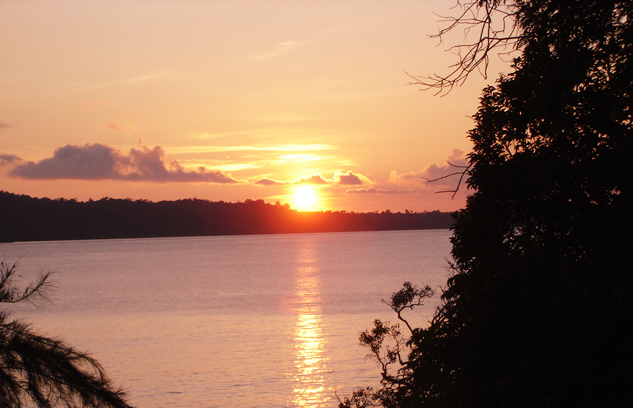 It takes the visitors on a journey of rediscovery and unfolding the unknown and untold mysteries of the Island. The iconic Lighthouse on 20 rupees Indian Currency note. 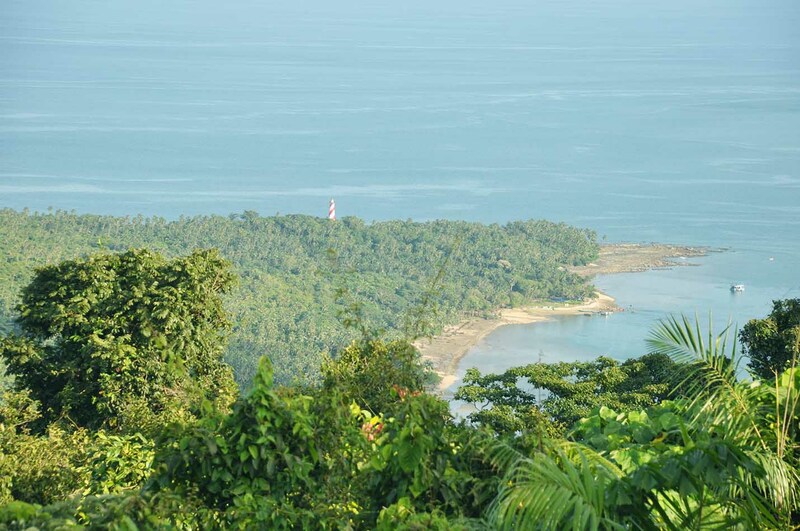 Chidiyatappu- the southernmost tip of South Andaman Island situated at a distance of 28 Kms from Port Blair. 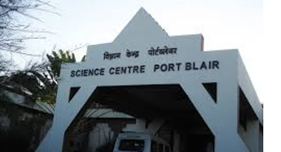 Frequent bus service are available from Port Blair. 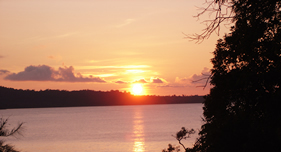 It is famous for bird watching, sunset view, panoramic scenic beauties, and many colours of oceanic view. Swimming can be done at Chidiyatappu. Safety places boards are erected in Chidiyatappu. But beware of crocodiles. 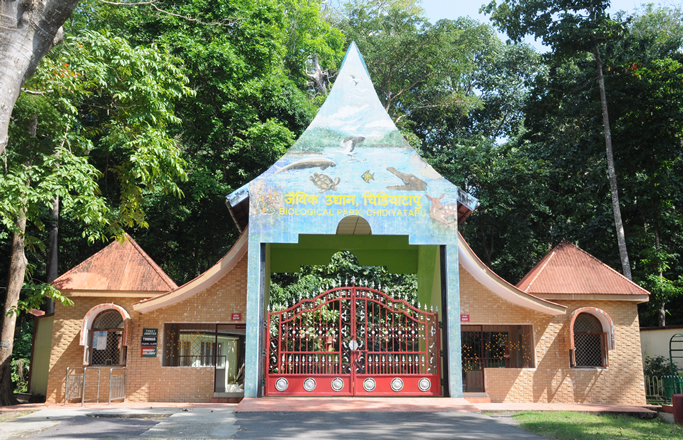 The biological park at Chidiyatappu is the added attraction. There is a Forest Guest House run and maintained by Forest Department, is under Chief Wildlife Warden, Haddo (Phone No. 03192-233549) who can be contacted to reserve accommodation for stay. 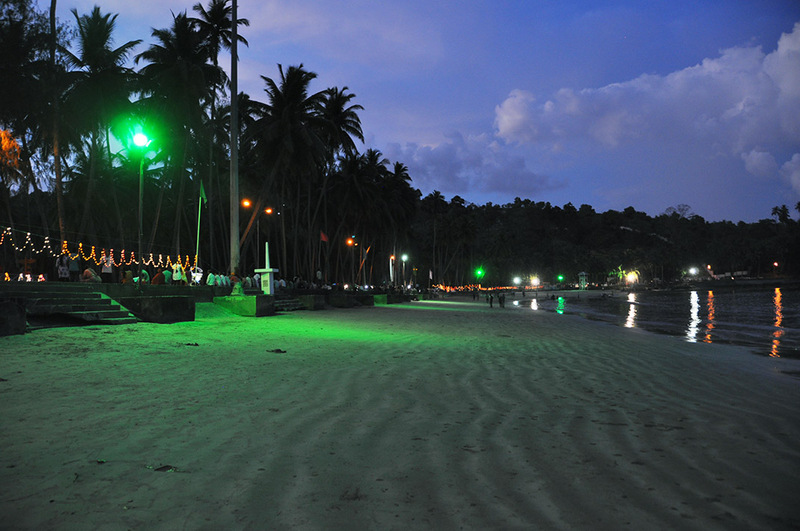 Eco-friendly beach facilities including changing room are maintained by forest department. 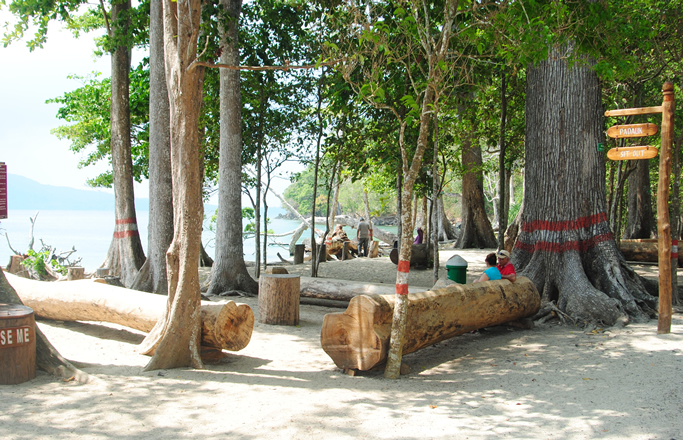 It is one of the most sought after picnic destination in South Andaman. There is a beautiful trek route of around 1.5 kms passing the green canopy forest, breathtaking Panoramic view of neighbouring islands with a surprise amazing view of Cinque island at the rear end of the trek. 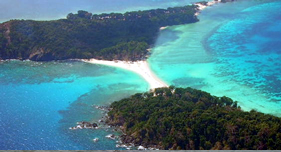 This of one of the most recommended treks in South Andaman. About 29 Kms. 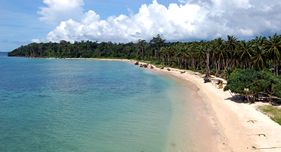 west of Port Blair is the famous Wandoor beach known for scenic beauty and is very popular amongst tourists. 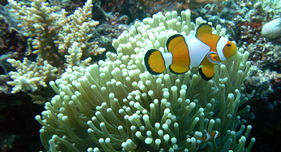 The range of the Mahatma Gandhi Marine National Park is just across Wandoor Beach. 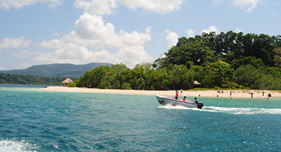 To visit the Marine National Park, boats are available from Wandoor Jetty. 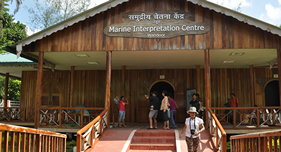 Just at the entrance of the Mahatma Gandhi Marine National Park, one can visit the state of art world class Marine Interpretation Centre. It has dioramas depiction of marine world and auditorium. 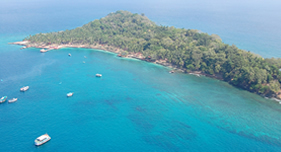 The Mahatma Gandhi Marine National Park at Wandoor is at a distance of 29 Kms from Port Blair and covers an area of 281.5 Sqr. Kms. 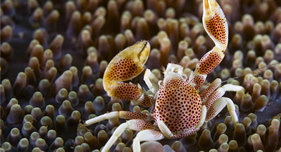 This Marine Park comprises of open sea, creeks and 15 small and large islands, which is one of the best found anywhere in the world. 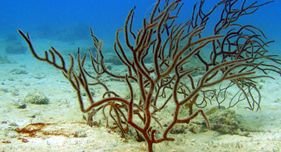 Viewing of rare corals and underwater marine life through glass bottom boats, scuba diving and snorkeling are a life time experience. 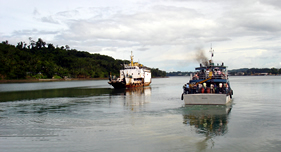 Private ferry operators operates conducted tour to the Mahatma Gandhi Marine National Park from Wandoor. 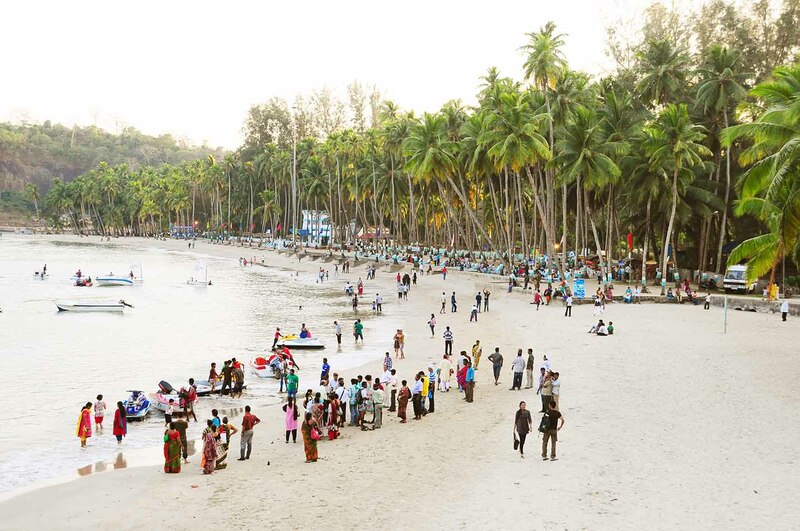 One needs to take permit, issued by the Forest Department and the boat ticket from the boat operators which are available at the Reception Counter of Directorate of Tourism from a Single Window before proceeding to Wandoor. 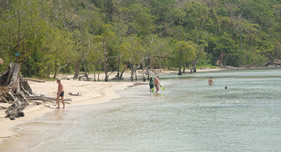 Tourists are allowed to spend two and half hours in Jolly Buoy Island or Red Skin Island as a part of conducted tours. 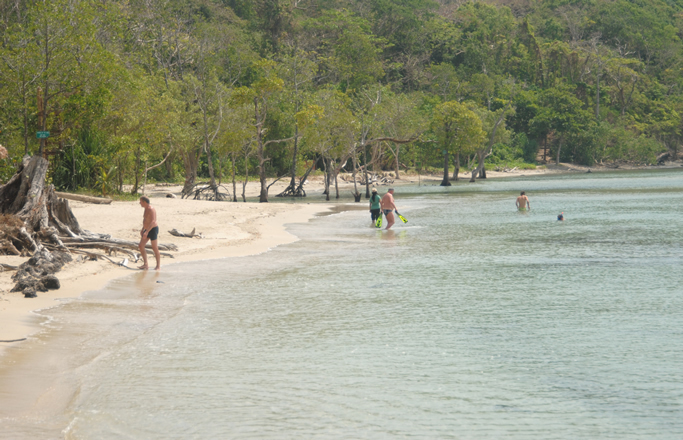 Generally, from December to May tourists are taken to Jolly Buoy Island and from May to November to Red Skin Island. 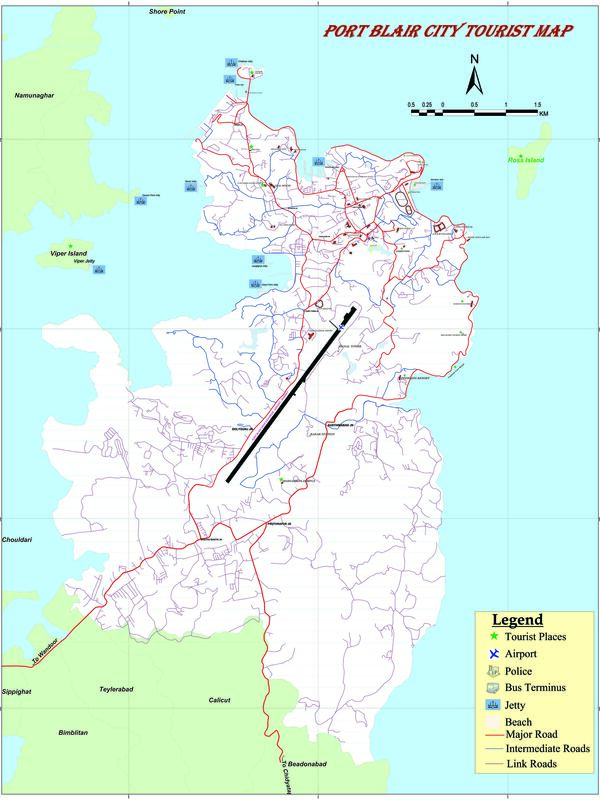 It is advised to take packed lunch and water fillings before proceeding to the Marine National Park. Regular bus services are also available from Bus Terminus to Wandoor, from where conducted tours are operated. 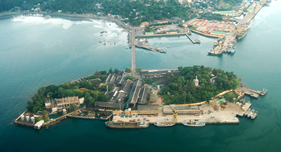 There are many sightseeing places in and around Port Blair. This water sports complex, the first of its kind in India, offers aqua-sports facilities including safe water sports and Adventure water sports within one water sports complex. In the safe water sports complex paddle-boats, row-boats, glass-bottom and bumper boats are available. 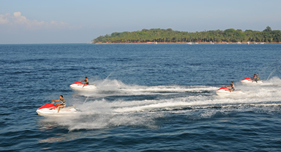 In the adventure sport front, Jet Ski, parasailing, banana boats, speed boats are offered. This complex also offers open air eateries. The spectacle of marina park that surrounds the complex is enchanting. The Rajiv Gandhi Water Sports Complex houses a memorial of the ‘Battle of Aberdeen' fought between the Britishers and the Andamanese aboriginals in 1859. 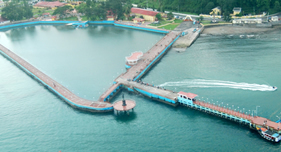 This beautiful park at Port Blair has facilities like amusement rides, safe water sports and nature trail around the lake, garden, restaurant and historic remains like Japanese temple as well as a bunker. 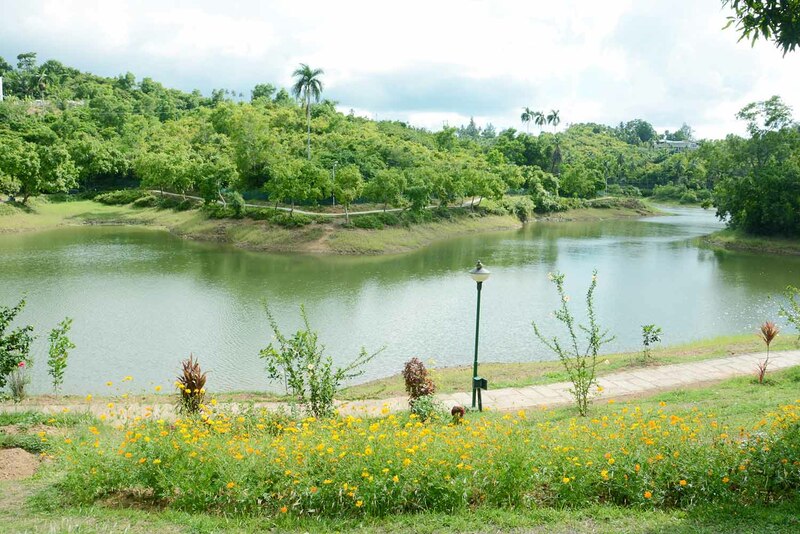 The erstwhile Dilthaman tank, which was the only source of drinking water for Port Blair and the area around, has been developed as Gandhi Park in an unbelievably short time of 13 days. It is open all days. One can visit Madhuban from Mount Harriet by trekking through the jungle approximately covering 16 Kms. 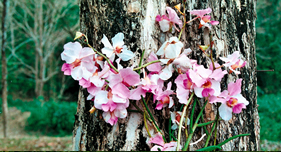 Exotic endemic birds, butterflies are interesting sights of this wilderness trek. This Govt. 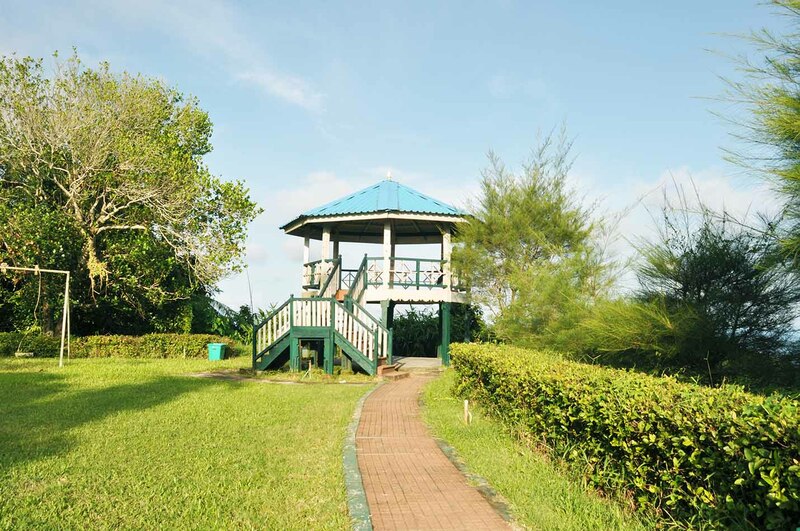 agricultural farm is located 14 kms west of Port Blair covering over an area of 80 acres, cultivate spices like clove, nutmeg, cinnamon, pepper, coconut etc. A sanctuary with rare corals and under-water marine life, Cinque Island has fine sandy-beach and sand–bar connecting North and South Cinque Islands and tropical rain-forest. There is no scheduled ferry service to Cinque Island. 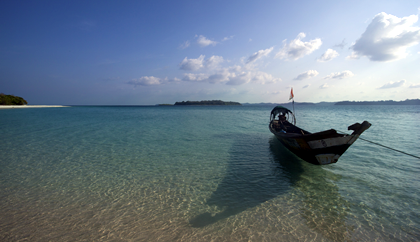 Chartered boats of permitted category are allowed from Port Blair and Wandoor. 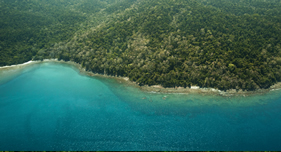 To visit, one may contact private boat operators in Port Blair to hire a boat with due permission from the Forest Department.